When you have a problem with your swimming pool, it can be frustrating. You want to be able to quickly get the problem fixed so that you can enjoy your pool. If you are unsure what the problem is, it is not a good idea to try and fix it yourself. You could end up causing more damage and could actually make things worse. Swimming pool repair done by a reputable swimming pool company can have you swimming in your backyard oasis in no time. No matter what seems to be the problem, a pool company can quickly find the problem and will have all the tools and knowledge to get the job done right. Whether the filter seems to be not working or if it is the pump that is acting funny, swimming pool repair services will find the problem and fix it. They will also be able to check the pool liner for any signs or leaking to make sure that isn’t what is causing the problem. Swimming pool repair can also include checking everything out to make sure that all your pool equipment is in good working condition. They can check to make sure that the pump is not worn out or showing signs of damage. They can also make sure the pipes are not cracked or broken so that you do not have a water leak on your hands. Your filter can also be checked for any signs of wear. No matter what is going on, they can find the problem and get it fixed. If you are looking for quality swimming pool repair, contact us at Cayman Pool & Spa today. 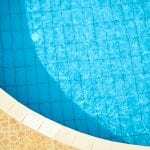 Our pool experts can diagnose and fix any problem quickly and efficiently. We strive to provide you with excellent customer service and we strive to offer our service for affordable prices. We have been in the pool business for over a decade and we can solve any problem!